If you’re waiting for ‘Game of Thrones‘ season 6, the HBO gods have given you a sneak peek to get you excited and ready to tune in, just don’t expect any clarity on a certain issue. What issue is that you may ask? Just watch it and you’ll see what I’m talking about. Trust me. I’ll wait. If the powers that be at HBO gave us some kind of warm, fuzzy feel-good moment in the preview, we’d be more terrified for the debut of the new season than we are, now. The big question remains: Is Jon Snow dead?! The trailer dives right into the ominous with the “Hall of Faces”, we see Ned Stark – dead. Then it centers on Rob Stark – dead. 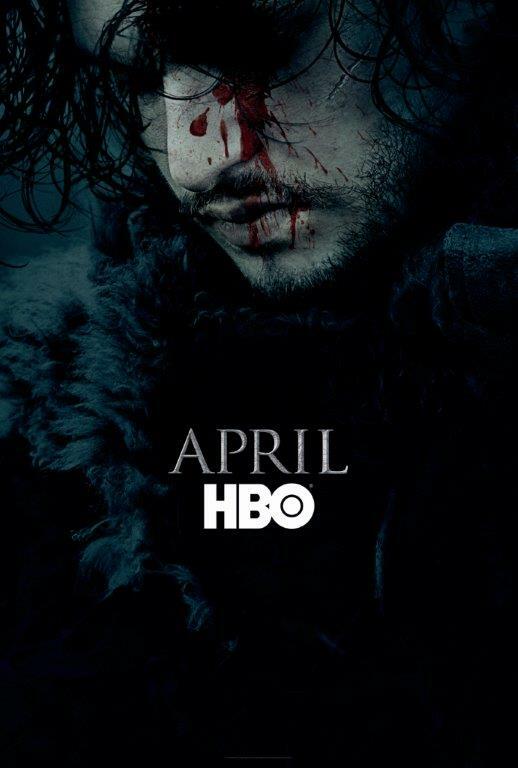 When the camera pans to Jon Snow, we’ve got a twisting knife in our gut because we know what this means. But wait, the trailer finishes with images of very alive characters like Tyrion and Daeneyrs. What does this mean HBO?! If this doesn’t make you tune in for season 6, you’re not quite human. This entry was posted on Monday, February 15th, 2016 at 2:08 pm	and is filed under Books, News, Television. You can follow any responses to this entry through the RSS 2.0 feed. You can skip to the end and leave a response. Pinging is currently not allowed. « Benicio Del Toro and Laura Dern will Use the Force in new ‘Star Wars’ Films!